A modern take on classic styling, the Polaris Bar Stool Cream will bring character to any location. 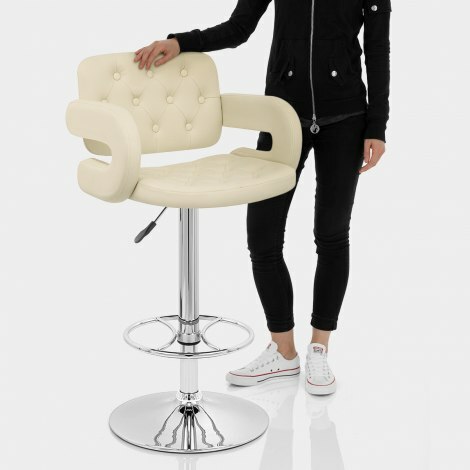 A plush piece of bar furniture that invites your guests to sit back and relax, the fashionable Polaris Bar Stool is destined to be the best seat in your house. The seat showcases a quilted design, having buttons stitched into the cream faux leather surface to give it a look reminiscent of a smoking chair, accentuating the padding that gives superb comfort. This features on the seat and the high backrest, which are held by a pair of curving armrests that give added support. 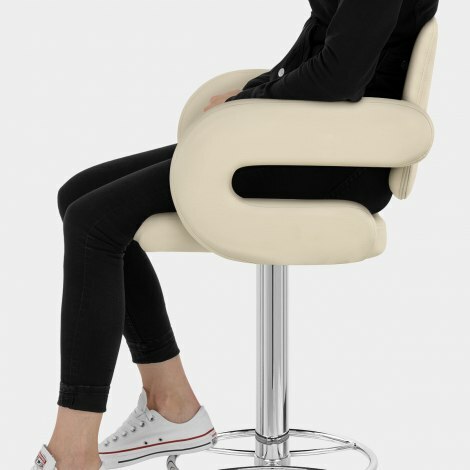 The seat perches on a chrome plated stem and base, which has a protective pad beneath to help keep away scratches. 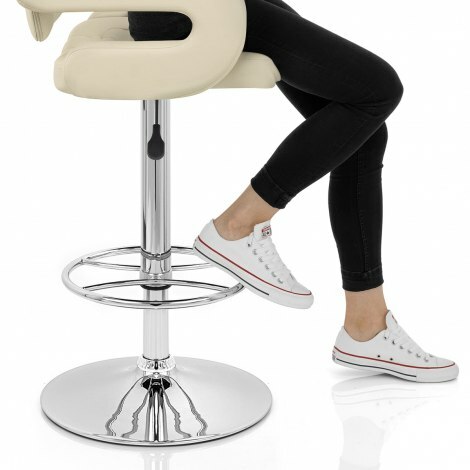 The round footrest is affixed to the stem, which also houses a gas lift mechanism, giving adjustable height and 360 degree swivel. "Excellent quality and price, brings a touch of class"
Very nice stools easy to assemble good price. Delighted with this chair. It was easy to assemble, looks $1 million and is unquestionably very good value for £85. A well made stool. Quite generous in seat size. Nice buttoning and all in all a very good buy. We cannot recommend this company highly enough. Top quality service and the stools we received were really nicely finished. These are gorgeous and so comfortable!